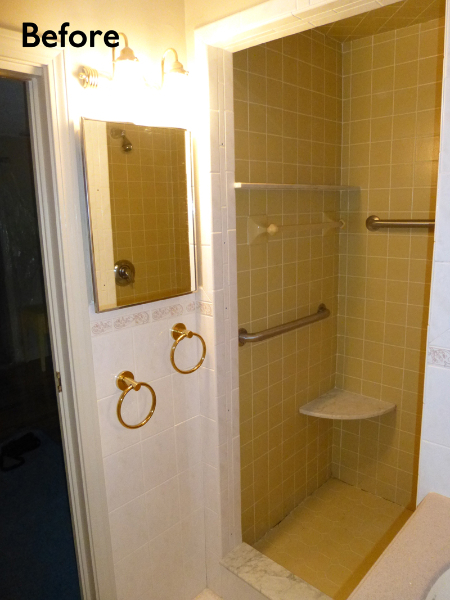 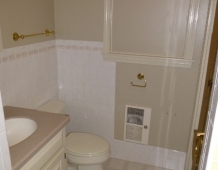 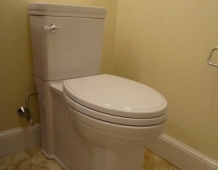 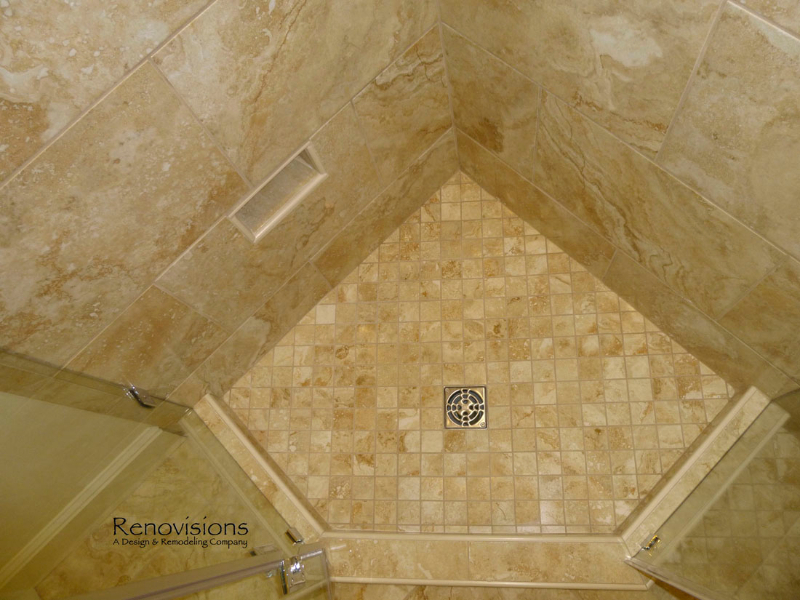 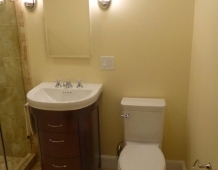 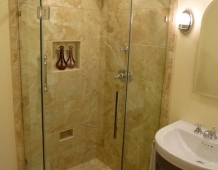 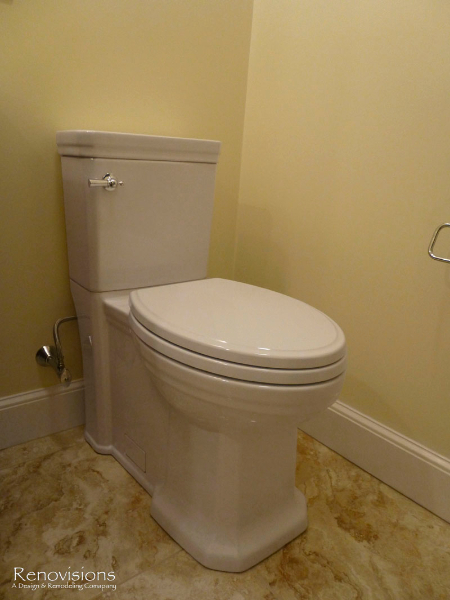 When it was time to update their small and poorly functional master bath, these homeowners approached Renovisions for help. 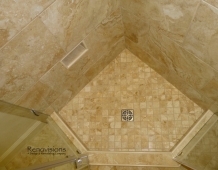 The small 5’x8′ size constraints was a challenge but ‘Team Renovisions’ was up for the task and came up with a beautiful creative use of space which incorporates a spacious walk-in shower, a curved furniture-styled vanity with porcelain lavatory top, a sleek and energy efficient luxury performance toilet, with faucet and shower fixtures in chrome finish. 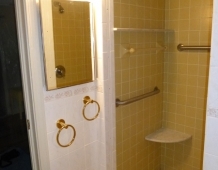 Safety is a must for our projects and this decorative grab bar that matches the towel holder accessories is evidence of that as it provides both functional and aesthetic attributes. 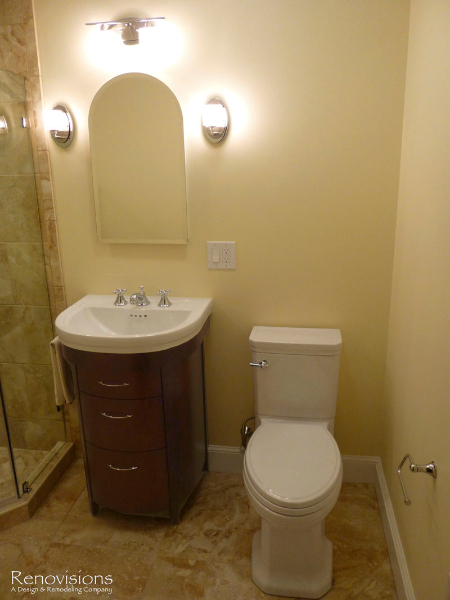 18″x18″ porcelain tiles in a brown marble pattern was a great choice as these over-sized tiles increased the feeling of the room while the rich cherry finish of the vanity complimented the brown veining of the tile nicely. 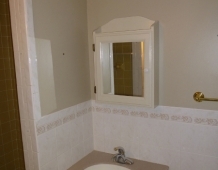 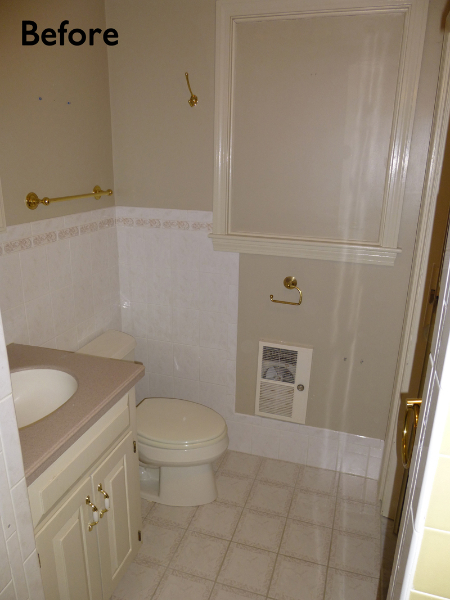 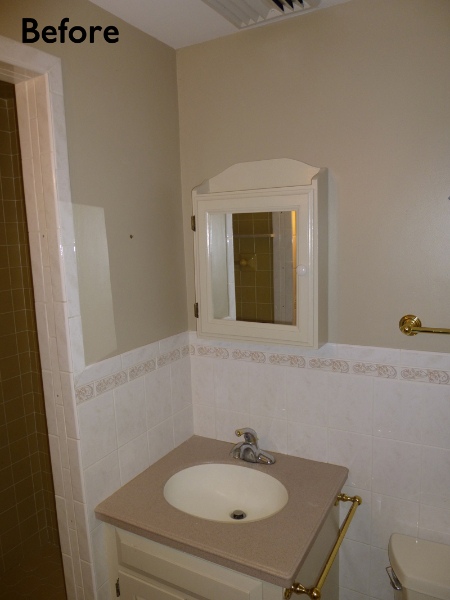 This newly remodeled master bath is clearly an example of making the most out of a small space. 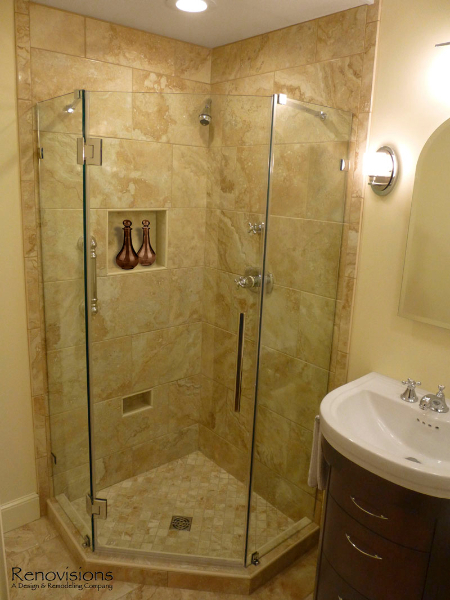 Beauty, functionality and style – it has it all!